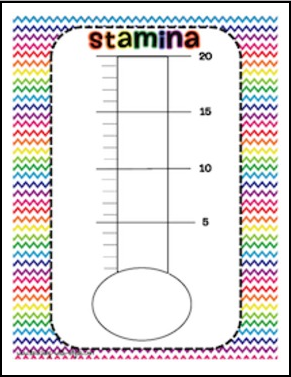 Use this stamina chart while teaching your students independent reading behaviors at the beginning of the year. Use it again with individual students later on who still need reminders. Included is two color copies and also a black and white. 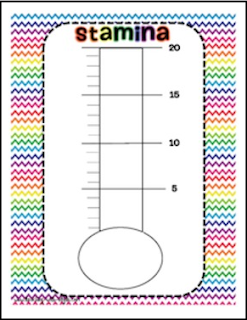 As your students build more minutes of independent reading, fill in the thermometer with a red marker. You also have your choice of 50 minutes total (for upper elementary) and 20 minutes total (for primary). Follow my blog, www.teaching-with-style.com, for a book study and blog hop of The Daily 5. The Daily 5 is trademark and copy written content of Educational Design, LLC dba The 2 Sisters. Educational Design, LLC dba The 2 Sisters does not authorize or endorse these materials.